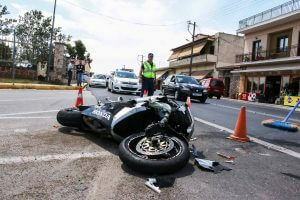 Have You Suffered an Injury in a Motorcycle Accident? Whenever you get in a car, you are putting your life in the hands of the driver and every other motorist on the road. This is often a sobering thought that goes doubly for motorcyclists. Motorcycles offer less protection for riders and their passengers. As a result, injuries sustained in motorcycle accidents are often consistently more severe than those sustained in passenger vehicle accidents. If you have suffered an injury or wrongful death of a loved one in a motorcycle accident that was caused by a negligent driver, then know that you have legal rights and options. Motorcycle accident attorney Adam Grutzmacher has been representing victims who have been wrongfully injured due to another’s negligence for over a decade. He is an active member of both the Philadelphia and Pennsylvania Bar Association as well as the Pennsylvania Association of Justice. Since opening the doors of his law firm, Adam has built up his experience litigating personal injury claims in Philadelphia and New Jersey district courts. He represents each client with the same steadfast dedication that he shows the last with a singular goal in mind: ensuring that each client receives the compensation they deserve. If you need a Philadelphia motorcycle accident law firm, then we are here to help. According to a report released by the Pennsylvania Department of Transportation (PennDOT), there were 3,547 motorcycles involved in accidents that resulted in 192 fatalities in 2016. Further, PennDOT’s report says that “occupant fatalities of motorcycles increased” between 2015 and 2016. Inclement weather. Whenever it rains, is foggy or snows, roads become more dangerous to drive on and a driver’s vision is impaired as a result. Adverse weather conditions were the reported cause of 23,549 motorcycle accidents that resulted in 155 deaths across Pennsylvania in 2016. Often, motorists fail to adjust for poor weather conditions, placing motorcyclists and other drivers at risk. Vehicle Defects. PennDOT’s report states that “tire/wheel and brake-related failures contributed to the majority of vehicle defect related crashes”. Examples of such vehicle defects include “steering system failure”, faulty suspension and cosmetic defects on the hood/doors/body. Always pay attention to any recalls that are announced by your vehicle manufacturer and stay on top of routine maintenance. Lack of Maintenance. For all persons who operate a motor vehicle — be it a motorcycle, scooter or passenger vehicle — it is the owner’s responsibility to maintain his or her vehicle. This includes ensuring that all appropriate stickers, insurance and regular maintenance is performed and/or are present on or in the vehicle. If you were injured in a motorcycle accident, then you may have the right to file a personal injury claim. What If I Was Hurt in a Motorcycle Accident While Not Wearing a Helmet? Generally, you can file a claim against a negligent driver if you and/or your passenger were struck by a vehicle and subsequently suffered severe personal injuries. Note that emotional injury as a result of the accident — panic, anxiety and fear that diminishes quality of life, for example — is also considered when determining recoverable damages. You are likely entitled to compensation for damages even if you were not wearing a helmet at the time of the accident. Although, this fact that may be a point in the prosecution’s defense that you and your motorcycle attorney will have to defend. This fight might seem harder if the lack of headgear worsened your injury. That being said, Pennsylvania state law says that motorcyclists over the age of 21 who have held a motorcycle license for a minimum of two years have the right to not wear a helmet if they choose. Therefore, if the fact that you were not wearing a helmet is brought up by the prosecutor, it can often be successfully contested in court. Ultimately, it is a good idea to talk with an experienced motorcycle accident attorney like Adam Grutzmacher after a crash. He can help you determine if the details of your case warrant a lawsuit and help build the strongest case possible for you. Being injured is stressful enough on its own. Do not let legal hassles be one more thing you have to contend with on top of trying to find consistent childcare and lost wages. If you and/or your passenger has been involved in a motorcycle accident due to another driver’s negligence, know that you have the right to file a personal injury claim. 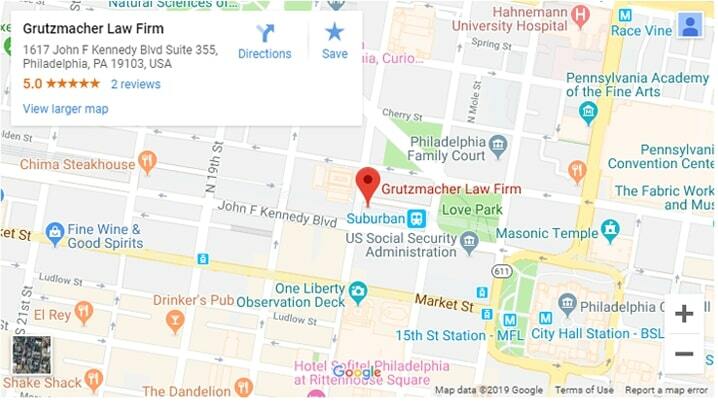 Adam Grutzmacher has been representing fellow Philadelphians who have been wrongfully injured for more than 10 years. He has all the resources, passion and dedication needed to ensure that his clients receive favorable outcomes. Contact our local Philadelphia motorcycle accident law firm to schedule a complimentary consultation today.